The TRU community will soon become the subject of a human interest project through the medium of stories. TRU students will be bringing back Humans of TRU, a story project inspired by the well-known Humans of New York series. 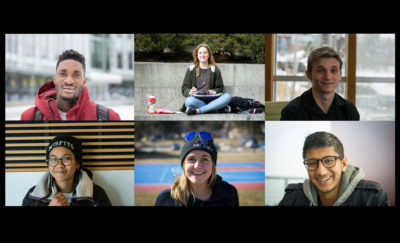 Humans of TRU is not a new concept for the university. The project had been previously run by former TRU student Eric Rankin. TRU Journalism Lab Technician Kim Anderson remembered the project from years ago when she was a student on campus and saw the potential in it. Using the roots that Rankin set out, Anderson is breathing new life into the project with the help of students. The project is set to bring a focus on the campus community. Humans of TRU will be focusing on the everyday but at the same time showing the interesting things that fellow TRU students get up to. “Something really everyday for you, could be really profound and interesting,” Anderson said. Anderson recalled the interest in seeing new faces on campus through the project and hopes that this revival will continue that interest in current and future students. The project revival was pitched at the end of the fall 2017 semester and was met with a lot of enthusiasm. Anderson believes that this project is a great learning experience for not only journalism and communication students but for anyone involved. She hopes that the content creators involved will push themselves to step out of their comfort zones and try something new. The current Humans of TRU team consists of photographers, interviewers and a social media team to piece all the stories together. The project is new and Anderson explained that the roles may shift until they find the perfect combination to create the best project they can. The team is still currently gathering fresh content to share with the TRU community but they hope to have the first flow of stories out in the next week. You can catch up on all the TRU stories on their Facebook page, Humans of TRU, and their Instagram page, Humans of TRU Official.